TGIF! That’s what surfer wanna-be peeps in or near Austin Texas are saying this morning! Artificial wave pool surfing has opened at 4836 E Hwy 71, Del Valle, TX 78617 today! And here’s the map! 1912 Palisades Amusement Park in Bergen County, New Jersey had a salt water pool. The water was drawn from the Hudson River’s saline waters. Rotating pontoons created an ongoing one foot wave. Were they surfing? No, but hey, it’s still 1912! The huge and popular amusement park remained opened until 1971. “Gellért Spa is famous for its main hall with gallery and glass roof, built in Art-Nouveau style. This early wave pool might not be interesting to a California surfer girl, but, they were getting at an exciting idea! 1969 Big Surf opened in Tempe, AZ, USA. The video below is from when it reopened in 2010 after some refurbishing. 2001 – FlowrRider started a chain of Wave House waterparks opening first in San Diego. While the wave pool was central, these include restaurants, bars, performance stages and basically, a lifestyle or kind of hyper-lifestyle. Fun! In Santiago Chile a Wave House opened in a huge mall complex. You can ride some waves and then get some pizza! Following that, you can peruse the retail establishments stocking board sports items. Wave House Sentosa (an island) south of Singapore ramps up the fun on the isle of “peace in tranquility” (a Malay phrase). 2012 – in Mallorca Spain the 180 room Wave House hotel quintissentializes – or quintilescalates? – the surf pool lifestyle. Two wave pools on the beach front. What’s not to celebrate? 2016-2017 . Twenty eight million peeps will get to surf at the new Wave House in the southwest Chinese city of Chongqing. Changchun, the Detroit of China in the northeast will get their Wave House fun in 2017. There’s more coming too, and you can read about it on the Wave House site. 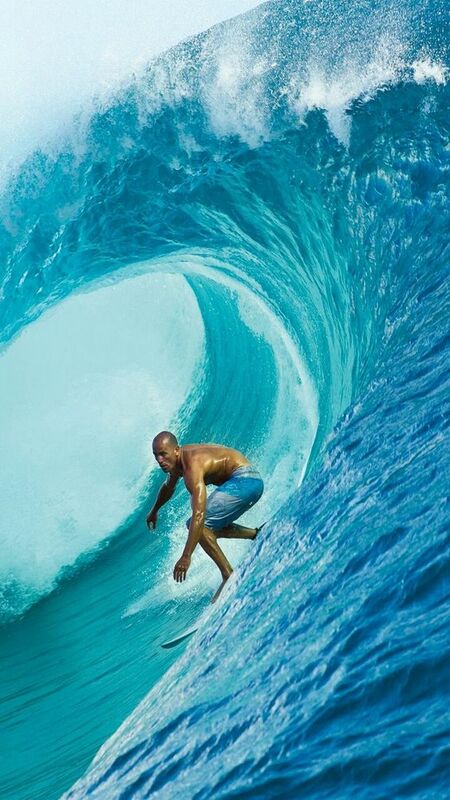 Here’s a video of Kelly Slater’s wave pool. He’s definitely having fun! 2013 – Virginia Beach, Virginia at Juice Box Surf Center “Riders will have the ability to surf indoors in winter and outside in summer. The guest experience includes surfing, shopping, spectating, food, and live music.” Surfing championship, board making, et al! Snowdonia opened. With eighteen waves an hour, surfers can practice in the middle of the pool and beginners and children can learn near the edge. The water is clean, from natural reservoirs. 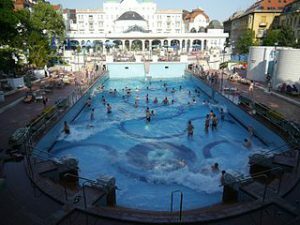 The wave pools may never present the size of the wave you see immediately above – but the popularity of these pools is growing! 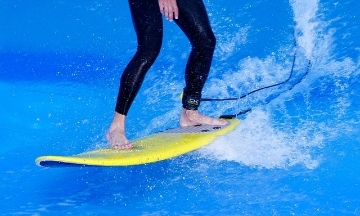 Have you tried artificial wave pool surfing? Or, will you? What do you think? I’d love to hear about your experience,with, or plans to try an artificial surf wave pool.